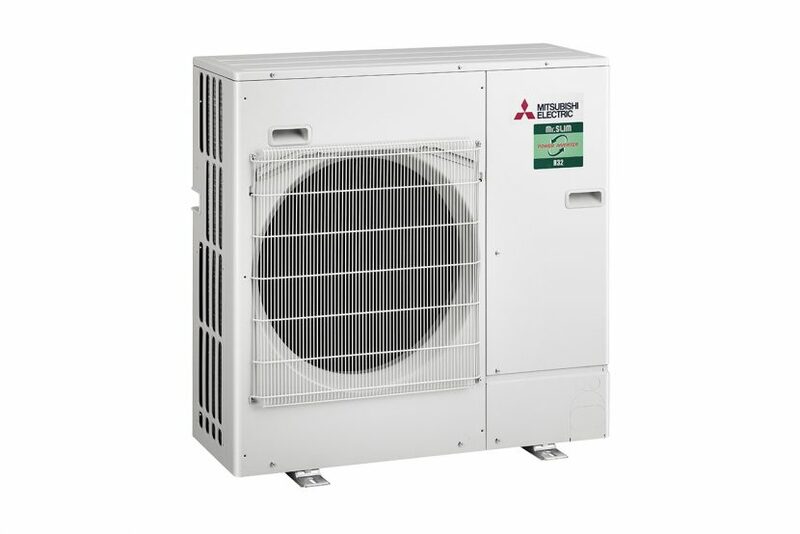 A new range of air conditioning units has been unveiled by Mitsubishi Electric designed to use the more environmentally friendly R32 refrigerant. The range includes ten outdoor units offering single-phase and 3-phase options, with a capacity range from 3.5 to 14kW. 25 individual indoor units are also available as ceiling cassettes, ceiling concealed ducted, wall-mounted and ceiling suspended models. For extra design flexibility, Mr Slim Power Inverters are also available in twin and triple multi-split configurations. “The size, look, feel and controls for the new R32 models remain the same as existing R410A Power Inverter models so that changing over to R32 will be as easy as possible for building owners,” says Product Marketing Manager Carl Dickinson. 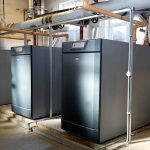 The new models will be available at the same price as the R410A units and can be used with existing pipework, but also offer longer pipe runs, with 100m available on the 10, 12.5 and 14kW models – 25m longer than the equivalent R410A versions, allowing systems to be installed where previous site restrictions may not have allowed. 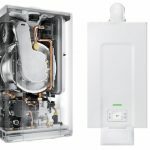 “R32 units have already been available in Japan for over two years now and we have taken that knowledge and refined it to develop this advanced line-up, which improves efficiency, increases pipe runs and adds other benefits too,” explains Dickinson. The new R32 Mr Slim line-up is available from July and further information is available on a dedicated website (see below), which also includes product information sheets, videos and infographics on the background to the introduction of R32 refrigerant.